Some of you (those not reading this in Google Reader) have started to notice that Eat.Live.Blog got a mini-makeover! I am ecstatic to announce my new blog header as created by the fabulous Belen Z! AND the new Boston Brunchers Badge Icon!!! 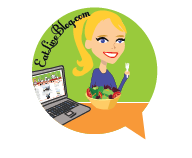 Brunchers, stay tuned, in the next few weeks you will get information on how to include the badge on your site! How amazing are these? Belen is also a delight to work with, and could envision what I had in my head….which is not always easy or pretty… But the amazingness does not stop there. Belen has agreed to give my readers a half price special on logo, header or avatar design! So you, lucky reader, may get a header design for only $35! Amazing, right?! All you have to do is comment on this post with your blog address and the overall feel you would like for your new header, logo or avatar. I will forward your contact information to Belen, and then the fun will begin! So happy designing folks! Disclaimer: I have known Belen for a couple of years now, and she designed my logos and header free of charge, as a friend. She did not know, at design time, that we would do a blog tie-in. Only after I saw her work did I suggest this promotion. So, obviously the opinions expressed are my own….or I never would have suggested this! This entry was posted in Reviews and tagged belen zuniga, blog design, Contest, food blog, header edsign, website design by reneeh. Bookmark the permalink. Love the logos! I definitely could use help personalizing my blog as I am still so new to the coding part of blogging! love the new logos! very creative! The new logos look great! And I love your header! YAY!!!! Everything looks great! Can’t wait to put the badge on my site! Great job! I love the new look! Congrats! Such cute logos! Love the new look!